The city of Steamboat Springs is a Home Rule Municipality that is the county seat and the most populous city of Routt County, Colorado, United States. As of the 2010 census, the city population was 12,088. The city is an internationally known winter ski resort destination. 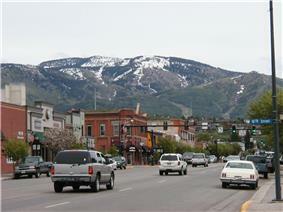 The Steamboat Springs tourism industry is highlighted by Steamboat Ski Resort, which is on Mount Werner in the Park Range just east of the town. It also contains the much smaller Howelsen Ski Area. Steamboat Springs is a mix of older architecture and newer resort developments, especially near the ski resort on the eastern edge of town. The Routt County Courthouse in Steamboat Springs, Colorado. The area surrounding Steamboat Springs was originally inhabited by the Yampatikas Utes, who hunted in the valley during the summer. Trappers began to move through the area during the first decades of the 19th century. James Harvey Crawford, the founder of Steamboat Springs, first arrived in the spring of 1874. The Crawford family moved there in 1876, and for the first five years were the sole permanent residents of the town. The native Utes were forcibly removed from the area to a reservation in Utah by the U.S. Army starting in 1879. Milestones in the development of the pioneer town included the first sawmill in 1873, incorporation of the town in 1900, and the arrival of the railroad in 1909. The economy of the region was originally based on ranching and mining, which still have a large presence in the county. 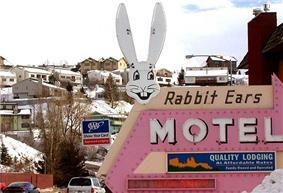 Steamboat is home to natural hot springs that are located throughout the area (see Geography). Upon first hearing a chugging sound, early trappers believed that a steamboat was coming down the river. When the trappers saw that there was no steamboat, and that the sound was coming from a hot spring, they decided to name the spring Steamboat Springs. Originally, skiing was the only method of transportation during harsh and snowy Rocky Mountain winters. In turn, the popularity of skiing as a winter pastime catalyzed development of the town and other communities all over the Rocky Mountains. In 1913, Carl Howelsen, a Norwegian, moved to town and introduced ski jumping. Howelsen built the first jump on Howelsen Hill, now part of the Howelsen Ski Area. He also founded the annual Winter Carnival, a celebration still held each winter. The festival includes ski racing and jumping, dog sledding, and chariot events down Lincoln Avenue, the city's main street. Light shows on both Mount Werner and Howelsen Hill are highlights. 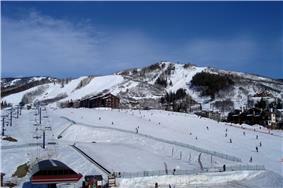 The Steamboat Ski Resort was largely established by two local men, Jim Temple and John Fetcher. Temple led the effort to develop the area. Fetcher, a local rancher, was the main designer and builder. The resort opened on what was then called Storm Mountain in 1963. In 1974, The Industrial Company (TIC) was started in Steamboat Springs and has since grown into one of the largest industrial construction companies in the United States with revenues of approximately $2 billion in 2007. The company is one of the largest employers in Routt County and has more than 9,000 employees worldwide. In 1993, the City Council of Steamboat Springs, Colorado conducted a poll of its residents to choose a new name for the bridge that crossed the Yampa River on Shield Drive. With 7,717 votes, the winning name was "James Brown Soul Center of the Universe Bridge". The bridge was officially dedicated in September 1993, and James Brown appeared at the ribbon-cutting ceremony for the event. Christian Science Society, at 7th and Oak, was built of logs in 1934 and is now listed on the National Register of Historical Places. The Crawford House, at 12th and Crawford, was built of local stone in 1894 by the founder of Steamboat, James Harvey Crawford, and is now listed on the National Register of Historical Places. According to the United States Census Bureau, the city has a total area of 10.1 square miles (26 km2), all of it land except for the Yampa River. The Yampa Valley and surrounding area contain several geothermal hot springs. The city is named after the Steamboat Spring, located near the present-day library and the old train depot. The spring itself was so named because its bubbling sounded like a steamboat to early settlers. Unfortunately, the construction of the railroad, which passes right next to the Steamboat Spring, silenced the chugging sound in 1908. Locals take pride in the name of their town, as evidenced by the humorously named Steamboat Yacht Club, a local restaurant formerly located on the Yampa River, but has since been closed. It has since been reopened under a different name. Though there are no steamboats in the town, except for an allegorical "steamboat" playground in West Lincoln Park, the area does offer two hot springs that are open to the public. The largest is at the Old Town Hot Springs, with multiple pools and two slides. Located in the hills a few miles out of town is Strawberry Park Hot Springs, with two pools and natural rock features. Strawberry Park Hot Springs offers excellent stargazing opportunities due to the lack of ambient light. The Yampa River flows through the middle of town. As of the census of 2000, there were 9,815 people, 4,084 households, and 2,082 families residing in the city. The population density was 976.1 people per square mile (377.1/km²). There were 6,373 housing units at an average density of 633.8 per square mile (244.8/km²). The racial makeup of the city was 96.88% White, 0.13% African American, 0.33% Native American, 0.50% Asian, 0.10% Pacific Islander, 0.73% from other races, and 1.32% from two or more races. Hispanic or Latino of any race were 3.13% of the population. There were 4,084 households out of which 26.4% had children under the age of 18 living with them, 41.5% were married couples living together, 6.0% had a female householder with no husband present, and 49.0% were non-families. Additionally, 27.0% of all households were made up of individuals and 3.1% had someone living alone who was 65 years of age or older. The average household size was 2.35 and the average family size was 2.84. In the town the population was spread out with 18.7% under the age of 18, 13.8% from 18 to 24, 40.1% from 25 to 44, 23.1% from 45 to 64, and 4.4% who were 65 years of age or older. The median age was 32 years. For every 100 females there were 123.6 males. For every 100 females age 18 and over, there were 128.1 males. The median income for a household in the city was $54,647, and the median income for a family was $65,685. Males had a median income of $35,536 versus $28,244 for females. The per capita income for the city was $31,695. About 2.7% of families and 7.2% of the population were below the poverty line, including 4.4% of those under age 18 and 3.1% of those age 65 or over. Steamboat Springs offers excellent skiing opportunities (also see history section) and has been the locale of world-class skiing competitions, including competitions for the 1989 and 1990 Alpine Skiing World Cup. The Steamboat Springs Winter Sports Club has brought forth many successful skiers, and the Steamboat Ski Resort attracts a large number of visiting snow aficionados. Snow tubing is offered at night during the ski season. The Yampa river is a popular conduit for water sports like fishing, rafting, tubing, and kayaking (playboating). 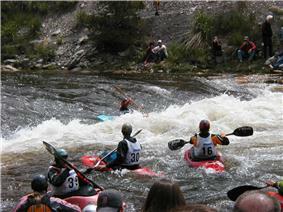 The 4-mile (6.4 km) grade II-III whitewater run through town ends with two surfable holes. One is called D-Hole; the other one—near the library, close to the Steamboat Spring—is named Charlie's Hole or C-Hole for short, after local kayaker Charlie Beavers (1981–2002). Beavers started kayaking at age 12, was the first to explore a number of rivers ("first descents"), and successfully contended in playboating competitions. He died in a non-boating accident in 2002. The hole and some kayaking events were dedicated to him. Every year on the first weekend of June, Steamboat Springs organizes the Yampa River Festival. It includes a kayak rodeo (i.e. a playboating competition) which attracts national and international world class playboaters. Additional events include but are not limited to a downriver race which is Colorado's only upstream slalom race, and The Crazy River Dog Contest, in which dogs retrieve sticks from the river and may pass a whitewater section. In 2011, Steamboat Spring’s was recognized by the League of American Bicyclists as a Gold Level Bicycle Friendly Community. In 2013 Steamboat Springs will host another stage of the USA Pro Cycling Challenge, a multi-stage professional cycling race, which draws over 1 million onsite reviewers and was recently nominated by Cycling News as the World’s Best Stage Race. Steamboat Springs owns and operates Bob Adams Field (ICAO: KSBS), a 4,300-foot (1,300 m) asphalt runway, located on Elk River Road that is available to smaller private aircraft and general aviation. For larger commercial flights, the city is served by Yampa Valley Airport (ICAO: KHDN) which is located approximately 25 miles (40 km) to the west near Hayden, CO via U.S. 40. Yampa Valley Airport is served on seasonal basis during the winter months by American Airlines, Delta Air Lines and United Airlines, all of which provide mainline jet service, and also has year round flights to and from Denver operated by United Express which flies regional jet and turboprop aircraft on the route. Marvin L. Crawford, (1932–2005), Nordic Combined Skier; 1954 FIS World Championships in Sweden, 1956 Winter Olympics in Cortina, Italy. Co-Founder of the Steamboat Ski Area. Inducted into the Colorado Ski and Snowboard Hall of Fame, 1981. E. Gary Crawford, (* 1957), Nordic Combined Skier; 1980 and 1988 Winter Olympics in Lake Placid, NY and Calgary, Canada. 1982 World Ski Championships in Olso, Norway. ^ a b "2010 City Population and Housing Occupancy Status". U.S. Census Bureau. Retrieved September 15, 2011. ^ Richards, Dee, Steamboat Round the Bend, 1976. ^ Leckenby, Charles H., The Tread of Pioneers, 1945. ^ Sept. 2006.Steamboat Springs, Colorado.Lund, John W.